Students will be assigned a level at the beginning of the semester. Students are placed by level according to posture, technique, and strength. Placement is not based on age or prior experience. These classes are designed to introduce very young students to locomotive movement and music in a child-friendly setting. The classes helps students develop body awareness, rhythm, flexibility, coordination, and confidence. Requirements: 1 ballet class per week. The Level I classes introduce students to beginning ballet steps, terminology, and the basics of dance. These classes ensure the student’s mastery of the fundamental movement methods. Requirements: 2 ballet classes per week. 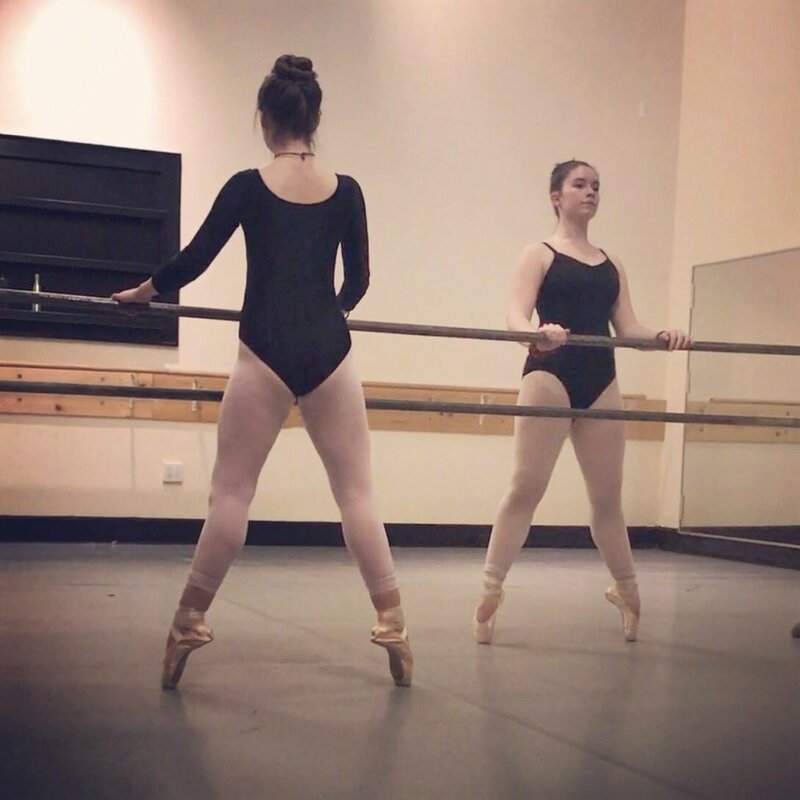 In Level II, students have a more structured ballet class focusing on proper posture, technique, and vocabulary. Requirements: 2-3 ballet classes OR 1 Pilates class per week. Total: 3 classes per week. Level III students should have a working knowledge of the basic ballet vocabulary. Turnout and posture should be maintained throughout the class.Requirements: 2-3 ballet classes, 1-2 Pilates classes, and 1 modern class per week. Total: 4-5 classes per week. Level IV provides ballet vocabulary and move at quick pace. These classes are designed to help escalate students’ knowledge of ballet. The students of Level V are given more challenging combinations using an extensive vocabulary and focusing on accents and artistry. Requirements: 4-5 ballet classes (including pointe), 2-3 Pilates classes, and 1 modern class per week. Total: 7+ classes per week. 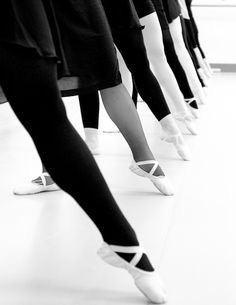 3 ballet technique classes per week are mandatory in order to add a pointe class. Students may advance to pointe with instructor's recommendation only. For anyone with an interest in ballet! If you danced as a child and would like to experience ballet again, this class will start from the basics and help refresh your memory. However, no previous dance experience necessary.